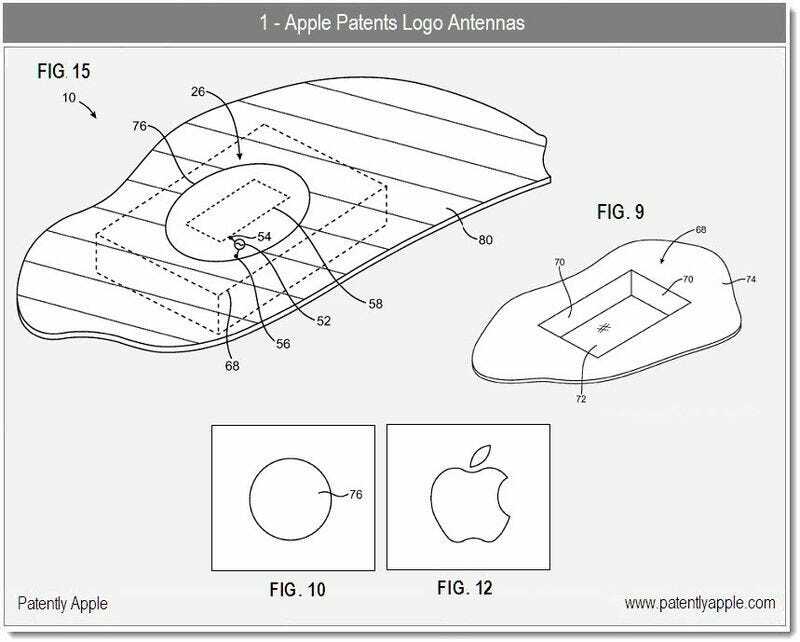 According to a patent, Apple is hoping to move the iPhone's antenna behind the Apple logo. This could potentially solve the attenuation problem that has plagued the iPhone 4. If you remember, the iPad already uses a sort of "logo antenna" (as does the iMac), but those antennas deal with Wi-Fi. This new patent spells out use for cell phone antennas too, the patent states that the "logo antennas" will cover "wireless communications in cellular telephone bands such as the GSM bands at 850 MHz, 900 MHz, 1800 MHz and 1900 MHz and the 2100 MHz data band." Making it seem incredibly ideal for future iPhones.